This is the compact dipole used for HF communications on the set of the ABC Television show “Last Man Standing” with Tim Allen. 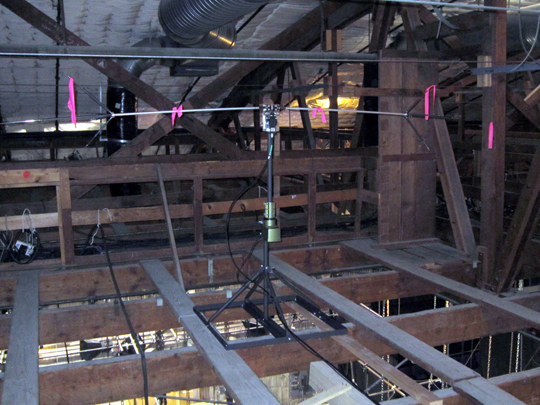 The crowded space above the set required a compact multi-band dipole and the CHV-5X was selected as the best option. 5-Band, 1/2 wave rotatable dipole for 40/20/15/10/6 meters! Compact, lightweight, and easily assembled in either a horizontal, “V” shape or ground-plane configuration. Each band tunes independently of the others. Comet engineers have specifically designed this antenna for those that desire a milti-band dipole that can be rotated if needed, but don’t have a lot of room to install it. If you have antenna restrictions, neighbors that tend to complain about antennas, simply want to operate without drawing attention…or you want a lightweight multi-band antenna to use in portable or emergency situations, the CHV-5X is a great choice.